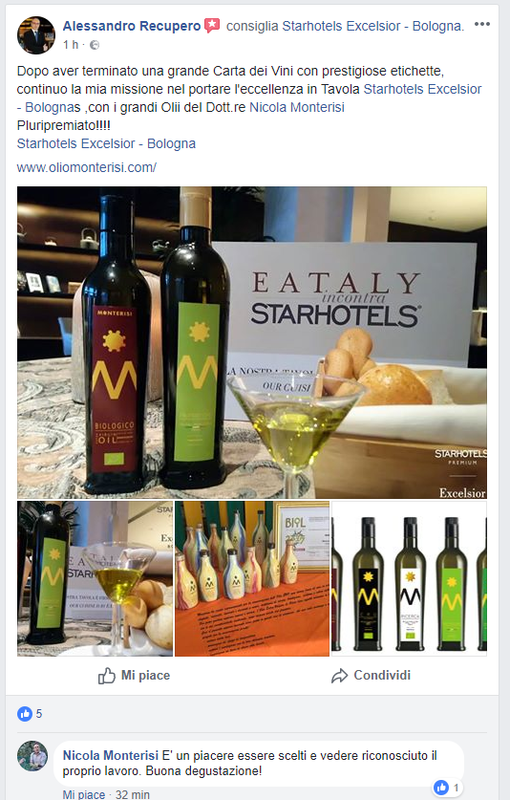 Since 2004, after consolidating his success on the Italian table, extra virgin olive Monterisi begins to receive the first major national awards. In 2005, the book guides oils of Italy "The Oil", published by Bibenda, quotes and rewards him with the symbolic recognition of the " 4 Drops ", a sign of quality. In 2006, the same guide gives Monterisi Oil the " 5 Drops " symbol, evidence of excellent quality and evidence of their continued commitment to further improvement of its product. In 2007 the leadership of the world's best quality oils ”The Extra Virgin" by Marco Oreggia cites among its pages Monterisi oil (from "The food and wine guides"). In 2008 the FRUITY GREEN Oil won the National Competition Exolivis at Ariano Irpino (AV) in the category "slightly fruity". In 2008 the FRUITY GOLD Oil at XV National Contest of Montiferru Seneghe (OR) won as the best extra virgin olive Italy. In 2008 the book guides oils of Italy "The Oil", published by Bibenda,, quotes and rewards him with the symbolic recognition of the " 5 drops ", a sign of excellence. In 2008 quoted in the magazine Food and Wine from the oils of the month of March. In 2008 quoted in the magazine Food and Wine from the oils of the month of June. In 2008 the world leading guide of the best quality oils "The Extra Virgin" by Marco Oreggia cites among its pages Monterisi oil (from "The food and wine guides"). In 2009 the guides to oils of Italy "The Oil", published by Bibenda, quotes and rewards him with the symbolic recognition of the " 5 Drops " for "CRU CV " coratina in purity, in a sign of continuity excellence. 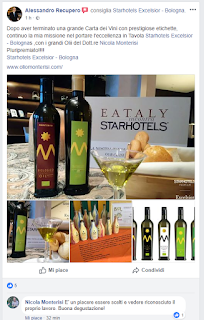 In 2009 Mention Of Honor at the National Award "The Gold of Italy"
In 2011 at Monocultivar Olive Oil Expo Celletti mentioned in its guide the FRUITY GOLD Coratina. In 2011 Monocultivar Olive Oil Bio Gold coratina.